Check out this sweet lights out video from my sweet crew this week. Camp is going well! From the camping standpoint - we seem nice and protected inside the walls of our school, but the outside world seems a little sketchy! I may in fact have a first as an MC. Sunday afternoons it is my job to welcome the campers by sitting at the end of the school by the road with a bright yellow welcome sign (as seen here) and as I was sitting there I was a little nervous I am going to be honest (we aren't in the best part of town) and I saw this guy who was hanging around and it seemed a little odd, but I wasn't going to leave my greeting post. He then left for a few minutes across a field came back and as I was greeting - he disappeared.... about 30 minutes later - the cops showed up at my post and asked me if I had seen a guy with a black hooded sweatshirt - I HAD!!!! Oh my - he just robbed the convient store about 150 yards from the school! And I was a witness - never in my life did I ever imagine such an experience at workcamp! We have also had some other fun times, which I won't mention at this time, but I would be happy to share the stories! Rochester Workcamp - Work it like it's your job! Having fun visiting the sites today - check out this cool video that our song leader Michael took while we were hanging out with our new friend Kevin. This has been an apple iPhone filled day! So we made it through the terrible storms of yesterday and last night - the sun is peeking through the clouds and it looks as though tomorrow is going to be sunny! The down fall - it is supposed to be a heat index of 110 degrees - that is HOT! We had a bit of fun this morning as we woke up to a power outage - but it did return just before I got to do Wakey Wakey for our workcamps - for those that don't know that is the fun intercom announcement and songs that I get to give each morning. I also include a fun fact about myself and one snapple fact as well as the weather! Fun times! Yesterday we learned that the average person spends two years of their life on the phone! That is crazy!!! You will have to wait and see the fact for the day will be tomorrow! Bring on the fun times!!! My blogs may be scarce this week because we don't have internet at our school, however there i is a nice McDs about 10 minutes away that has free WiFi and some great greasy food - that is not a deli sandwich - fun times! Jana is at it again! 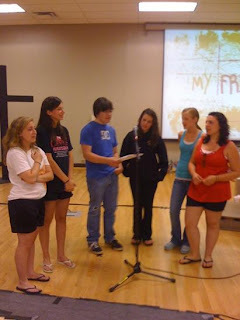 This week she is emceeing her third Group Workcamp in four weeks. In this latest installment, Jana flew to Memphis, TN, was picked up by a staff member and rode an hour or so to Brighton, TN. Here is a little information from Group about this workcamp. On Suday, Jana told me she didn't have internet at that time, so I will be updating the blog from texts, etc. that she sends my way. Check back often to see what all they are up to. Group Workcamps In the News! WBRE-TV did a news story about the Workcamp Jana is emceeing in Carbondale/Scranton! 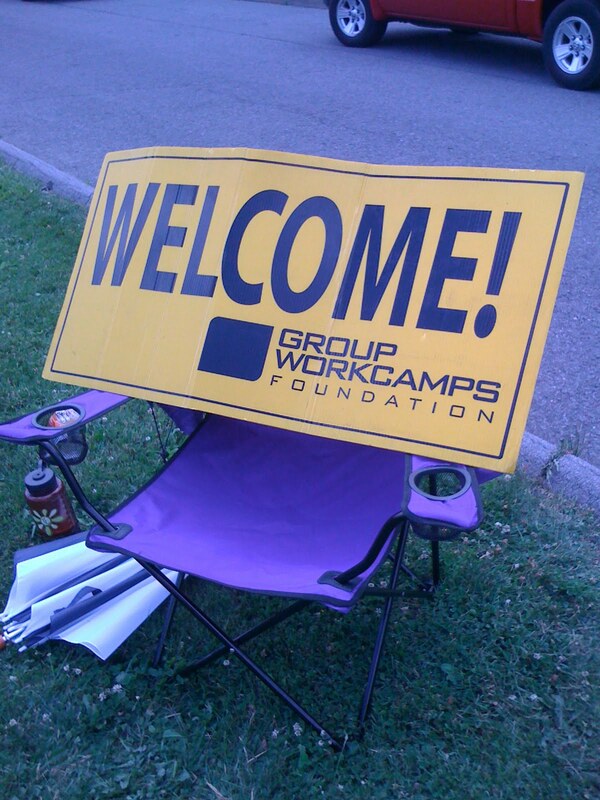 The reporter mistakenly called Group Workcamps "Camp works". But, it was nice to see a number of the campers being interviewed. Follow the link to see/watch the story. Here are some of the music team practicing for the evening program. It has been a good week here in Scranton.